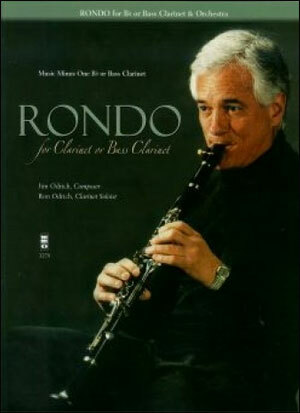 RON ODRICH is a clarinetist who has played and recorded with Clark Terry, Zoot Sims, Al Cohn, Phil Woods, Buddy DeFranco and other Jazz Greats. He has taught and played jazz clarinet in the Robert Marcellus Master Class at Northwestern University for twelve years. In May of 1992, he was featured as the first jazz artist to perform for the Scotia Festival of Music in Halifax, Nova Scotia. He has played in various New York City clubs, appearing weekly with his own quartet for the past nine years. 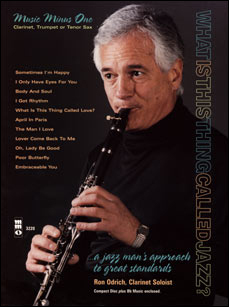 John S. Wilson, Music Critic of The New York Times, said Odrich is “recognized by fellow musicians as a jazz bass clarinetist virtually without peer” and that he is “a brilliant jazz clarinetist….” His first album was with jazz greats Vinnie Burke and Chris Connors in 1953, and his last album, Blackstick, was given a four-star rating by DOWNBEAT Magazine. Odrich is virtually a native New Yorker. Born in Connecticut, his family moved to the Empire State when he was very young and has remained in one or the other of the five boroughs of New York City since then. His father, Jim, was an early mentor; he was originally a ‘cellist who later doubled on the reeds and played saxophone, clarinet and oboe in radio and recording studios and in many Broadway musicals. Odrich’s first instrument was ‘cello, but he switched to clarinet when he was thirteen years old after hearing the opening cadenza to Rhapsody in Blue. 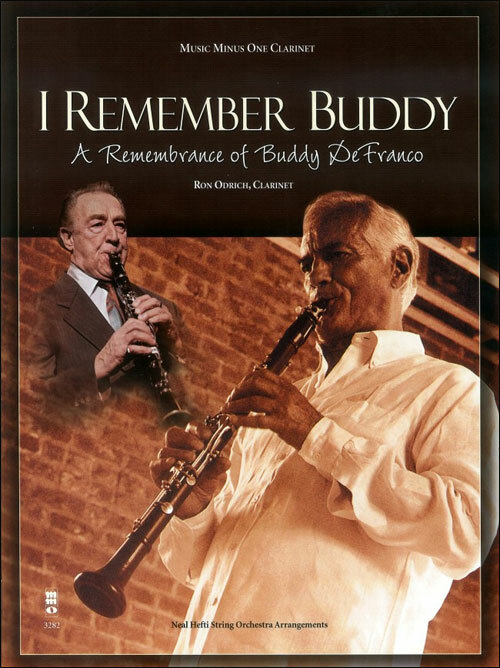 His teachers, Sal Amato, Vincent Abato, Buddy DeFranco, Kalman Opperman, Robert Marcellus, Daniel Bonade and Lennie Tristano, represent a “Who’s Who” of virtuosic clarinetists. Early club dates through the late ‘40s were followed by the Air Force Band, “Airmen of Note”, 1951-53 and performances as part of the Vinnie Burke Quartet, Clark Terry (small and large orchestras), on-stage acting/playing in the original Broadway cast of Lenny and formation of his own quartet in the early 1980s. Ron is also a Periodontist with his own practice in Manhattan. Both his quartet and his dental practice were one of the feature stories on the August ’94 Charles Kurault Show on CBS’ Sunday Morning. He has also appeared on Around New York on Station WNYC in ’94 with a trio. 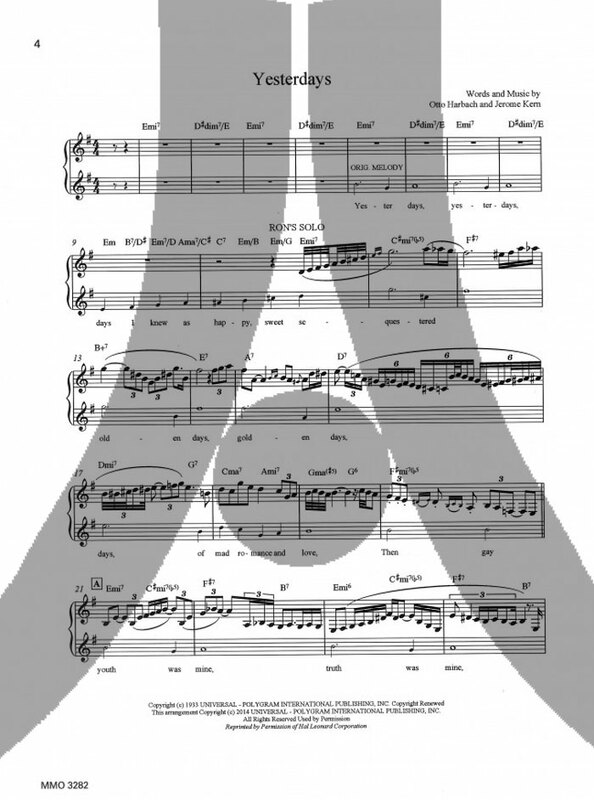 He has composed and performed a classical/jazz piece Winter Fantasy for orchestra, vocal chorus and jazz quartet.